The government of Jamaica is operating with the conviction that under the programme vision 2030, Jamaica will be the chief place in the world to live, work, raise a family and do business. The population is encouraged to live and believe this vision as well. 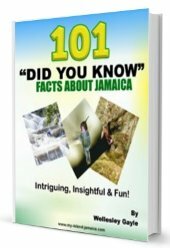 Possibly you may be one of those who decides to make Jamaica your home so now is the best time to learn about the Jamaican population that you may be potentially coming to live with. Life expectancy is a key one. 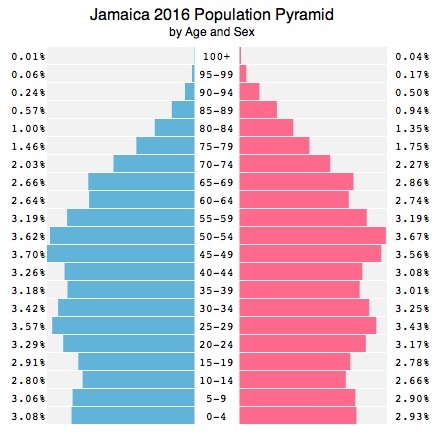 Jamaica is estimated to have had a population of 2,970,340 (July 2016 est.) this number is likely to be different now since the population is growing. It is expected that these people will live to be round about age 73.6 years. Women are above this with their expectancy at 75.3 years and men a little below at 72yrs..
Only the 0-14 age group has more males than females…and the bulk of our population is between ages 25 – 54 years? Check it out below. There is a broad representation of churches in Jamaica however the most popular are the Protestant 64.8% (inc. 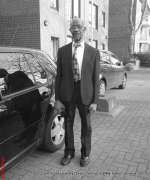 Seventh Day Adventist 12.0%, Pentecostal 11.0%, Other Church of God 9.2%. Rastafarians represent about 1.1% 0f the religious community. What Is Our Language /How We Chat? The formal language of Jamaica is Standard Jamaican English which leans heavily on British English as opposed to American English. For example c-o-l-o-u-r is deemed correct and c-o-l-o-r is in deemed correct. Generally the population is given to speaking Jamaican Creole made popular by Hon Louise Bennett-Coverly O.C. Ms. Lou; a cultural icon. In this c-o- l-a (pronounced kulla) is acceptable. It is a spoken as opposed to a written language. Read more on our language here. The World Bank says that about 88% of Jamaicans are literate. Primary as well as secondary education is free. Read about education in Jamaica here. If you have need to use the hospitals or health centers then health care is offered free at government run facilities and but there is just under 2 beds per 100 admittance, however there are close to 0.41 physicians/1,000 population. It is estimated that 29,000 members of the population are PLWHIV and there have been at least 1200 deaths. Other NCD (non communicable diseases) such as cancer, heart problems, hypertension and diabetes are the leading causes of death among Jamaica’s populace. Most Jamaicans are descended from African slaves brought to the island to work on British sugar plantations in the 18th century. While Jamaica is not a developed country, the aim is to get there by 2030. However since 1950, more than 1 million Jamaicans have immigrated to other countries mainly England, Canada and the USA. Many of these individuals have now recognized their role in helping Jamaica achieve its developmental goals and as a result we now have a vibrant and involved Diaspora group. Indeed all members of society are encouraged and should be a part of the push to ensure that our country achieves this important vision 2030 millstone (see vision 2030 document at jis.gov.jm). 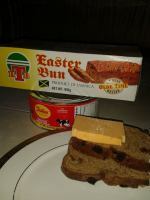 So you see Jamaica is more than just sun, sea and sand, wood and water. We are a real country with goals and dreams to accomplish which will help us to be better able to strive as a nation state.